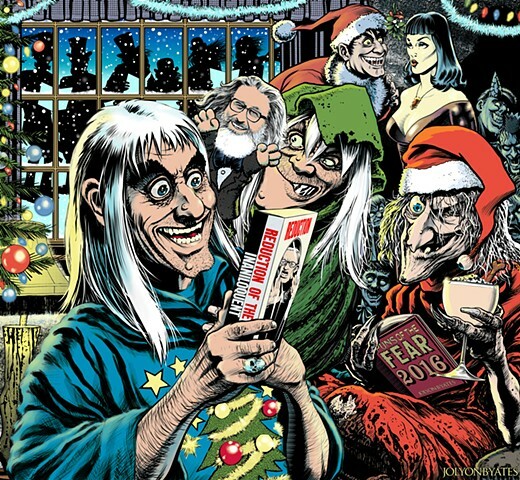 Approved version of a Christmas card I did for 'Tales from the Crypt'. The first version had a couple of characters I'd assumed were owned by EC, or at least up for satirical fair use, but had to change them. Very happy to get a letter from William Gaines' daughter about my drawing of her father.